CLEVELAND -- Draymond Green had a simple explanation for why the Golden State Warriors lost by 30 pointsin Game 3 of the NBA Finals on Wednesday night. "We were extremely soft," the Warriors' All-Star forward said after practice on Thursday. "We got bullied, punked, whatever word you can find for it." Green used the word "punked" again when asked what adjustments the Warriors might make against the Cleveland Cavaliers. "There was no X or O adjustment they made. They punked us," Green said. Those sentiments are similar to those uttered immediately after the game by Warriors coach Steve Kerr. "They just punched us right in the mouth, right in the beginning," he said. "We were turning the ball over like crazy. Soft. We were extremely soft to start the game, and they set the tone with their intensity." Warriors shooting guard Klay Thompson echoed the "soft" assessment. "Coach is right," he said Thursday. "Anytime a team goes up 33-14 on you in the first quarter, that's pretty soft of us. "Obviously, give them credit. They got some incredible shot-makers and they came out with a sense of desperation. But we can't expect to just show up here. That's on us. That's on our starting lineup." The Warriors submitted one of their worst defensive performances of the season, allowing Cleveland to shoot 52.7 percent from the field and 48.0 percent on 3-pointers. They also allowed three different Cavaliers (LeBron James, Kyrie Irving and J.R. Smith) to reach at least 20 points. "Wasn't about shooting percentages," Green said. "We lost that game when we stepped on the floor and got punked from the jump ball." 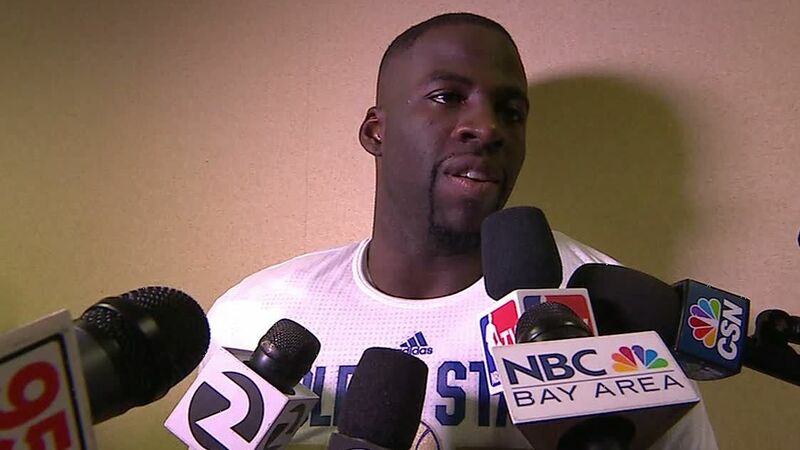 Draymond Green explains why the Warriors lost to the Cavaliers in Game 3 of the NBA Finals. Draymond Green examines what went wrong for the Warriors in Game 3 saying, "We came out and played like everything was peaches and cream."